Kuffdam & Plant were a promising trance duo back in the early part of the last decade and even after their split Kuffdam was looking to progress with a solo career. He has one artist album on VANDIT and a few singles but for the last few years he’s done a Vincent De moor and vanished. Part of the Kuffdam & Plant brand was where he had his most success and one of their best and breakthrough tunes was ‘Summer Dream’. I remember Paul van Dyk playing it in his live sets and created a real buzz around the track. Well, it’s getting a fresh lick of paint for this summer and Monster Tunes have picked two very well qualified decorators for the task. The two gentlemen in question for this 2013 remake are Gary Maguire and Thomas Datt. 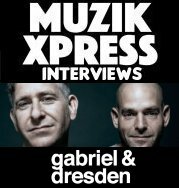 Both who have enjoyed great success as solo producers and contributed a great deal to the trance scene, and will continue to do so. I think the key to a good remake is not to change things around to much. ‘Summer Dream’ the original had an unforgettable main menu and its pleasing to hear that original atmosphere has been capture yet again in both mixes. That unforgettable dream mood for me is captured best in Gary Maguire’s remix here. As you would expect from Gary his mix is a pure driving uplifting trance fans dream. Thomas Datt’s mix is a little more full on that you would think with a shorted break and more focus on the main riff , not a bad thing mind you that as it bloody good one! With the enormous talent of these two producers you don’t need any foundation to build a good trance track as they can do that on their own. When you do though, the results are really something special. Summer Dream has never sounded so good, both remixes are superb.